Your list of thanks just got bigger because of your new home! And even though it may seem a little daunting, Thanksgiving is the perfect opportunity to show off your new place. Thanksgiving brings together family and denotes awesome food, great company and a chance to give thanks to another year of bountiful grace. It is the host’s honor to share this celebration with his guests. And you don’t have to stress too much about it as there are easy ways to make your first Thanksgiving at your place flawless. Here are some quick tips for the new homeowners and hosts! Take advantage of the endless decoration ideas from the internet. Set the ambiance and the mood so you can fully get the spirit of fall and Thanksgiving! Let your decor speak and make this season brighter for your new home. Do the turkey and the stuffing then have your guests bring the rest. You do not have to take responsibility for everything. Just make sure that you assign people what to bring so that you can enjoy a variety of side dishes. Slow cookers and crock pots are essentials that you will use for a long time, not only during Thanksgiving. That’s why it is worth investing in these items once you move to a new home. Napkins, trash bags, and other necessities when you’re having guests over are important not to be overlooked. Moving into a new place is fun, what more if you get to celebrate Thanksgiving there? 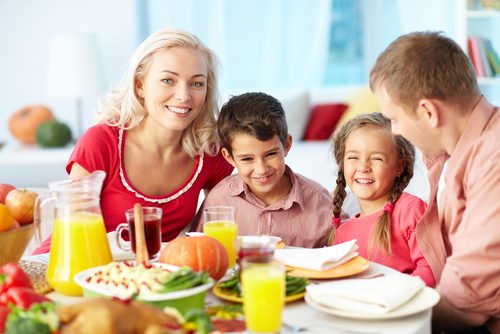 Having your friends and family over for Thanksgiving must be the most exciting part of the year, and it doesn’t have to be tedious!